The narrative takes viewers back and forth in time to build a suspense plot. For a movie that has its name, characters and concept inspired by a cult classic, it is natural to look back at the masterpiece and juxtapose it with the latest. 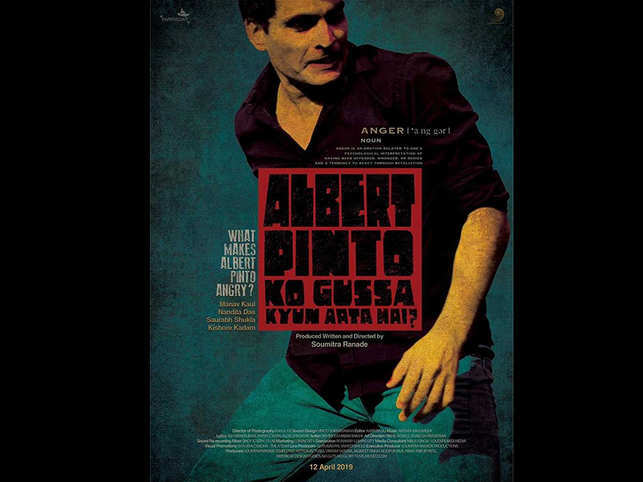 The 1980 film 'Albert Pinto Ko Gussa Kyon Aata Hain' captured the angst of the common man with an emphasis on the labour disputes in Mumbai. Played by Naseeruddin Shah as Albert Pinto, the film was a social commentary of the times. Albert’s anger stems from his experiences in life that make him succumb to darkness, following some personal injustice. Nearly four decades later, director Soumitra Ranade’s conceptual remake of the film also attempts to epitomise the anger felt by the common man in contemporary India, in the face of social, political and cultural rot. The modern-day Albert Pinto (Kaul) is an honest family man with a decent job and a girlfriend. But one day, he disappears. Ranade never goes overboard with the subject, but he has an idea of its seriousness and effectively portrays the growing anger inside an ordinary middle-class man. As Albert is seen driving away with an unknown man to execute a hitman’s assignment, the narrative takes us back and forth in time to build a suspense plot. Albert’s anger stems from his experiences in life that make him succumb to darkness, following some personal injustice. The conversation with his fellow traveller Nayyar (Shukla) on their way to Goa becomes the crux of the story. While Kaul performs a daunting act. Das, playing his girlfriend Stella, is effortless while transforming into different characters. Ranade never goes overboard with the subject, but he has an idea of its seriousness and effectively portrays the growing anger inside an ordinary middle-class man.